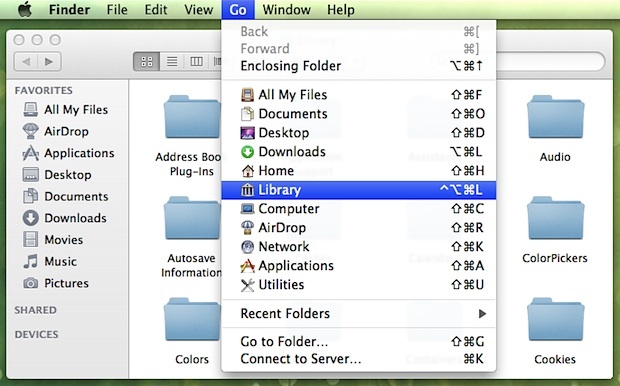 Want to quickly get to the User Library folder on Mac? A keyboard shortcut is one of the best ways to do that, particularly if you find yourself frequently accessing that folder. Using keyboard shortcuts are often the fastest way to navigate around the filesystem in Mac OS X, but new versions of MacOS and Mac OS X, including MacOS Mojave, High Sierra, Sierra, El Capitan, OS X 10.7 Lion, Mountain Lion, 10.9 Mavericks, 10.10 Yosemite, and later doesn’t have a keyboard shortcut to access the user library directory by default. 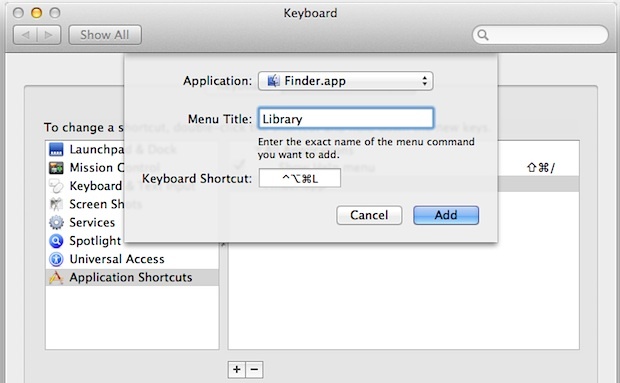 This tutorial will show you how to add your own keystroke combo to immediately open the ~/Library folder on a Mac. Although there are a variety of ways to access the user library directory in OS X Lion, I find keyboard shortcuts to be the fastest. You can also show the library folder at all times in the user home folder with the help of a terminal command, which would mimic the default setting in Mac OS X 10.6 and before. Whether or not you would find this useful likely depends on how often you are in the User Library folder, but for many of us it’s convenient to have user Library visible all the time, or at least accessible by keystroke. The main thing you’ll want to consider when setting a custom keystroke like this is to not pick a shortcut that interferes with something else, so just be cautious of that. Often applying a modifier key, like Option and Shift or Control and Option will prevent that, but how your Mac is configured depends on you of course. Nice tip, I set it to always be visible right after I upgraded to Lion. Off topic, but what is the green wallpaper that you have been using for the screen shots? Is it Christmas themed or green? It’s 1024×1024 but stretches fine to MacBook Air resolution. What i did was this: Make your home library folder visible with the ALT key. Then make an alias of the library folder. Rename the alias to ‘Library’, now you have always direct access to the folder..